Jose Mourinho has warned Paul Pogba he will have to change his penalty-taking technique even though he scored Manchester United's opening goal against Everton. Pogba took 28 steps and more than nine seconds before striking his first-half penalty. It was saved by Jordan Pickford, only for the Frenchman to tap in the rebound. 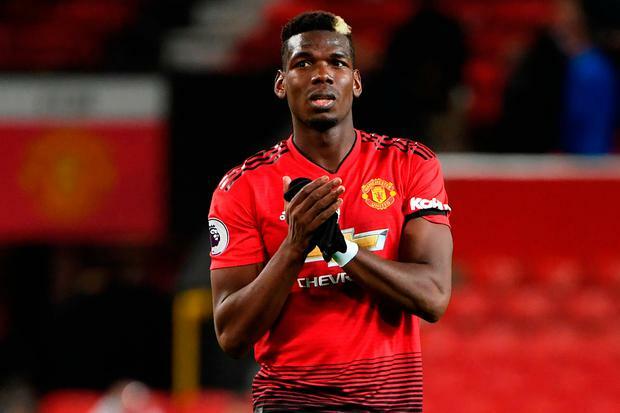 Although Mourinho praised the midfielder for wanting to take the penalty, he fears goalkeepers are able to read where he is going to place them and Pogba admitted after the game that he needs to rethink his run-up. "The thing I like is the desire to take it," said Mourinho. "But maybe he needs to change his approach. Let me choose the words carefully because I don't want to be punished. I don't like Mickey Mouses, those who say 'I don't take penalties.' I like the player that says 'I want to take it'. But Paul, can he improve? I think he can. Goalkeepers know his run-up style, they don't move and they are waiting for his decision, so he has to learn from that."